Dr. Allen R. Calabresi is a native of the city of New Orleans. He graduated from Louisiana State University in Baton Rouge with a Bachelor of Science in 1991 and LSU School of Medicine in New Orleans in 1995. He completed a residency program in Internal Medicine at LSU Medical Center/Charity Hospital in New Orleans in 1998. 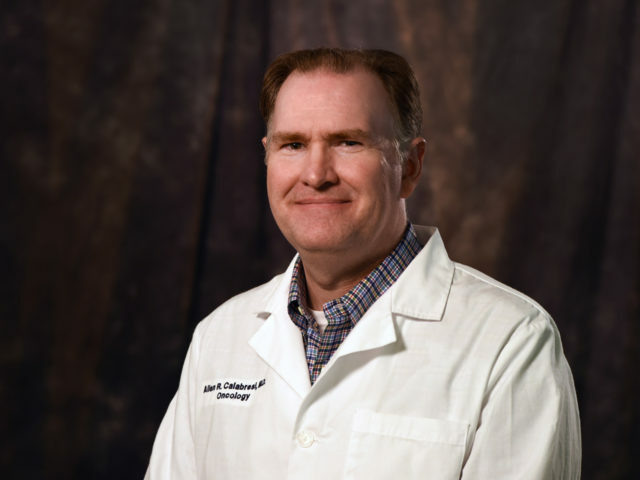 After residency, he underwent training in a two year Medical Oncology fellowship program at LSU in New Orleans and then completed an additional one year fellowship in Hematology in 2001. He has been in private practice for 15 years and has been in Slidell since 2001. Dr. Calabresi has been working at the SMH Regional Cancer Center since it opened in 2011 and in May 2015, became a member of the SMH Physician Network. He specializes in cancers of the lung, head & neck, breast, skin and colon. In addition, he treats patients with lymphomas, certain types of leukemia, anemia and other blood disorders. Dr. Calabresi provides hope, healing, and increased survivorship to patients in our community.